She married Douglas Erman on Nov. 27, 1965. Her husband survives in Delphos. She was preceded in death by a son, Scott. Funeral services will be on Thursday, April 18, 2019, at 11 a.m. at Trinity United Methodist Church in Delphos, Ohio, with a luncheon immediately following. The Rev. Rich Rakay will officiate. Procession to the gravesite at McCauley Cemetery in Defiance, Ohio, will follow lunch. 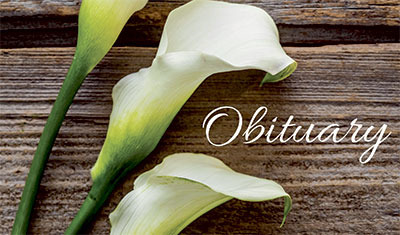 Friends may call on Wednesday, April 17, 2019, from 2 p.m. to 8 p.m. at Harter and Schier Funeral Home or one hour prior to services on Thursday at the church.